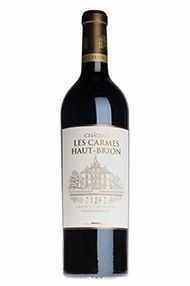 A little-known neighbour of châteaux Haut-Brion and La Mission Haut-Brion in the Pessac-Léognan region of Bordeaux, Les Carmes Haut-Brion is a jewel of a property, positioned on the same bank of gravel (graves) as its more famous namesakes. 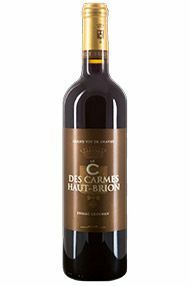 The name derives from the friars, known as ";Les Carmes"; who owned the property between the 16th and 18th century. The vineyards are planted with an unusually small quantity of Cabernet Sauvignon (10%), the lion's share going to Merlot (50%) and Cabernet Franc (40%), this is reflected in the style of the wine which is rich in aromatics and has incredible finesse. The wine spends 18 months in oak barrels, one third of which are new each vintage. This estate has been under new ownership since 2010 and the 2012 is a great success story. The fruit shows luscious redcurrants and the overall style is really soft and attractive. It is the finish, however, where the wine really shows off a wonderful sapidité (a French term meaning an almost salty, mineral savouriness). The château's director, Guillaume Pouthier, puts this down to using ripe stalks in the blend, a difficult method frequently used in Burgundy but very rarely seen in Bordeaux. This 2012 is very much a success. The new cellar, winery and tasting room is now open at Les Carmes and it really is quite an astounding building. The 2015 is a pretty powerful wine, serious, complex and very interesting indeed. The floral bouquet is very pretty, layered with really ripe raspberries which are ever so attractive. My favourite aspect of the wine has to be the earthy, mineral character though, as well as the brilliant tannic structure. The gravelly soils offer a lovely character and the wine has a sense of place, of terroir. Light in the mouth, the tobacco, sweet black fruits and creamy texture create a wonderful palate, but the savoury characteristics are what I enjoy most about this wine. It is another really promising wine for this up and coming estate. Ch. 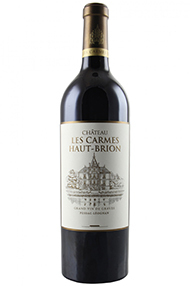 les Carmes Haut-Brion is a tiny, 4-hectare only property whose vineyard is virtually adjacent to Ch. 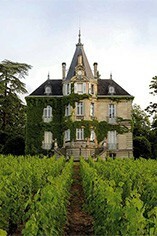 Haut-Brion’s. This is a great find; a truly lovely wine with silky, succulent fruit and wonderful sophistication, thanks to the unusually high proportion (30%) of Cabernet Franc in the blend. Juicy, succulent blackberry fruit is complemented by a grainy, earthy complexity and the gravel linearity of the terroir. This is most definitely a property to watch.